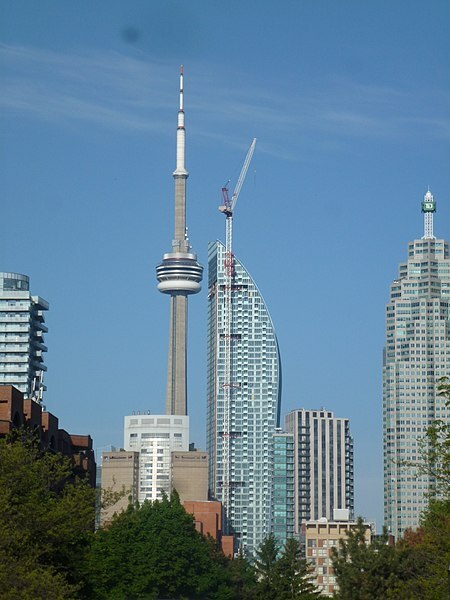 Imagine surveying a condominium building in the heart of downtown Toronto that rises to 57 storeys, has a curved building facade, is shaped like the letter “L” and welcomes residents with a gigantic circular entry. An icon on the city skyline, this unique exterior is the brainchild of celebrated architect Daniel Libeskind. The 600-suite residence tower forms part of a larger complex that includes the Sony Centre for the Performing Arts, an adjoining high-rise tower and below-grade parking structures. L Tower’s central location is steps from railway lands, Union Station and numerous other structures that had to be considered during the complex land-survey process.